Happy Halloween! 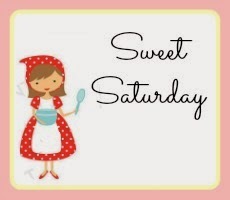 Sweet Saturday is here to save you today! If you are looking for a quick, cute, and delicious Halloween treat for tonight then this is for you. It is pretty self explanatory from the pictures but all the information is below. Cut a chocolate chip cookie in half and turn the pieces upside down. 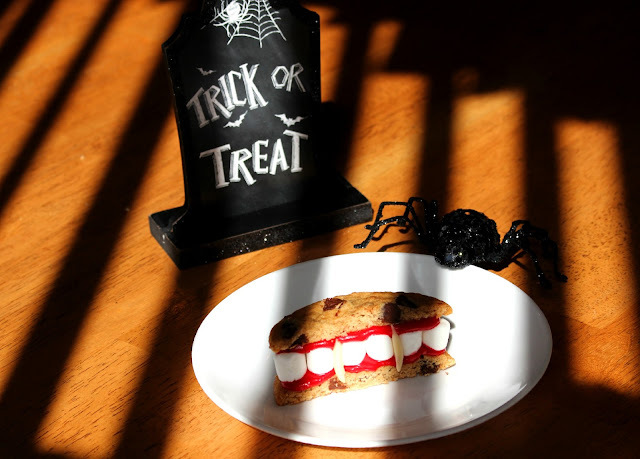 Spread red frosting on the upside of one half of the cookie. Place the marshmallows in a line to look like teeth. Six is the amount of marshmallows you want to use so it looks like teeth. Squeeze red frosting on the outline of the second half of the cookie and place on top. Place the thinly sliced almonds on either side of center two teeth to look like fangs. And you are all done! 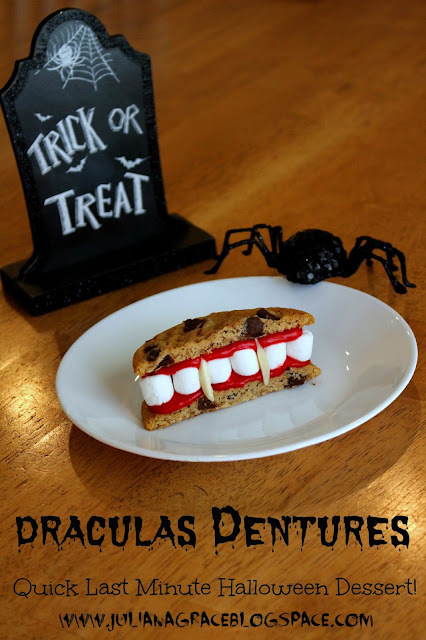 This doesn't take much time or many ingredients but it is absolutely adorable and delish! Have a great Halloween and a fabulous weekend!